Showing results by author "Alyssa Day"
Alyssa Day introduces the dangerous game one woman plays when her family's curse dooms her to kill the man she loves. Meljean Brook delivers a new story in her steampunk world of the Iron Seas, as a man who's lost everything returns home to find that he must fight air pirates who intend to steal his one remaining treasure - his wife. And Lucy Monroe, author of the Children of the Moon novels unleashes the feral passions of a werewolf on the body, mind, and soul of his prey, his lover, his lifemate. Alexios survived two years of unspeakable torture at the hands of a vampire goddess. Now he's been ordered to team up with a beautiful warrior and take on the most dangerous mission of his life: to retrieve the Vampire's Bane. Without it, Atlantis can't ascend to the surface and take its rightful place in the world. But when evil threatens, will Alexios be led by duty - or his heart? Eleven thousand years ago, before the seas swallowed the Atlanteans, Poseidon assigned a few chosen warriors to act as sentinels for humans in the new world. There was only one rule - desiring them was forbidden. But rules were made to be broken. VERY HAPPY TO SEE (HEAR) ALYSSA DAY ON AUDIBLE!!! Lord Justice made the ultimate sacrifice for his brother and paid for it with an unimaginable torture. Now he's back, rescued from death, his sanity shaken, and his mission inescapable---the search for the lost Star of Artemis. But the beautiful human female whom he has sworn to protect is shadowed by an evil that could destroy them both. The archaeological artifacts of Atlantis speak to Dr. Keely McDermott, sharing visions of life long ago. The warrior... Ven's mind is filled with duty. He must serve as Atlantean liason to the humans in a war waged against the vampires. A sword is his weapon---not diplomacy. But on a mission to recover the Nereid's Heart---a ruby of immense power---it will take every ounce of strength he possesses to resist the sexual allure of the beautiful witch chosen to work with him. And the witch... Erin's heart is filled with vengeance. She lives only for the chance at revenge against those who murdered her family. Daniel, vampire and ally of the Warriors of Poseidon, has fought on the side of humanity---even against his fellow creatures of the night---for more than 11,000 years. But the crushing weight of futility and the reality of always being starkly, utterly alone has forced him to finally give into despair. He took the first step into the sunlight that would destroy him---and instead walked into Atlantis. What could Christophe, a powerful Warrior of Poseidon, have in common with Fiona Campbell, prim and proper Scottish illustrator of fairy tales by day and notorious jewel thief known as the Scarlet Ninja by night? Answer: the Siren, a legendary Crown Jewel that Fiona has targeted for her next heist. It's said to be worth millions, but to Christophe it's invaluable. A warrior with no emotion... A woman with an eye for the truth... 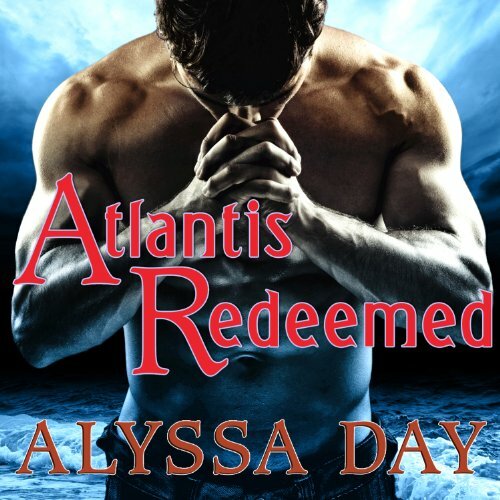 When truth and passion collide...Atlantis is redeemed. Doomed by Poseidon millennia ago to live life bereft of feelings, Atlantean warrior Brennan's curse is shattered when he meets Tiernan---a human with the ancient Gift of Truth Telling. Attraction turns deadly when the woman he could never forget becomes the woman he can never remember. With the fate of Atlantis on the line, will a warrior's uncontrollable desire destroy the world? Atlantian Brennan and truth teller Grace. Bordertown private investigator Luke Oliver's beat is the dimensional fold in Manhattan between the human and supernatural realms. But now a secret from his past - the League of the Black Swan - has surfaced. Because Luke isn't any ordinary PI. He's the Dark Wizard of Bordertown, and he never backs down from a fight. But this time the fight threatens his life and his heart. Rio Jones, the only woman he's loved, needs his help against a deadly menace. Luke and Rio, with the help of the newly reformed League, must keep evil forces from taking over Bordertown. I enjoyed the story. Great narration.